Each year in roughly the second week of September I’ve traditionally taken a fishing/camping trip through some area of Colorado. Jane can’t understand how this is fun. I remove all the seats from the minivan and sleep there surrounded by my other camping supplies and fishing gear. Sunday marked the beginning of this annual road trip for 2010. My plan called for driving to the White River in the Flattops Wilderness on Sunday, fishing in the White River Monday and Tuesday, then driving to the North Platte and fishing there Wednesday and Thursday, and finally stopping and fishing the Colorado River on the way home on Friday. As you’ll see it didn’t quite work out that way, but was fun nonetheless. 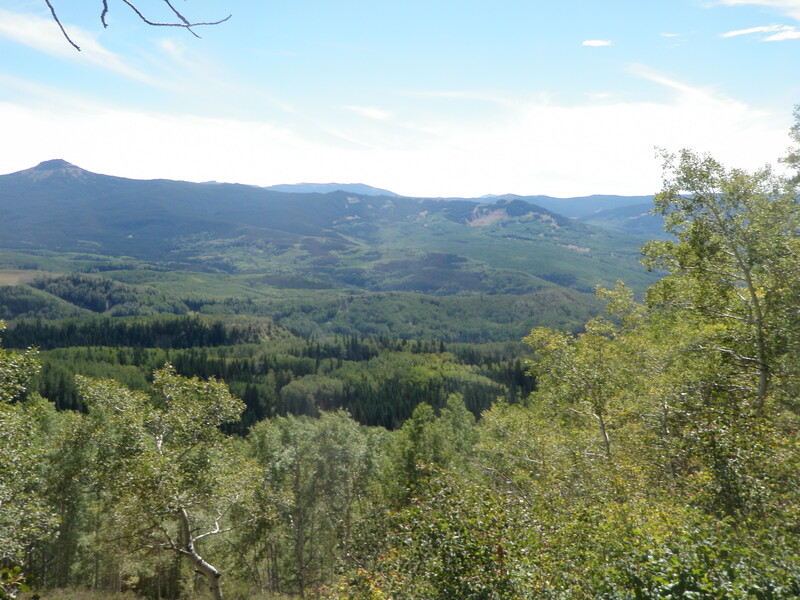 The drive to the Flattops Wilderness is a long and relatively difficult one that involves a 41 mile stretch on a dirt road over two mountain passes, Dunckley Pass and Ripply Creek Pass. It takes around four hours. I arrived at the White River at around 3:30 and snagged a nice campsite number 31 there. There were around four or five other campers, some hunters and some fishermen. I met Ralph, the campground host, almost immediately and got to know him pretty well over the next couple days. He was a Vietnam veteran and possessed a booming baritone voice. By the time I paid for the camp site and unpacked a few things, I was ready to fish at around 4PM. Ralph told me there was a 3-4 mile stretch of water open to the public across from the campground, so I decided to give it a try on Sunday evening. 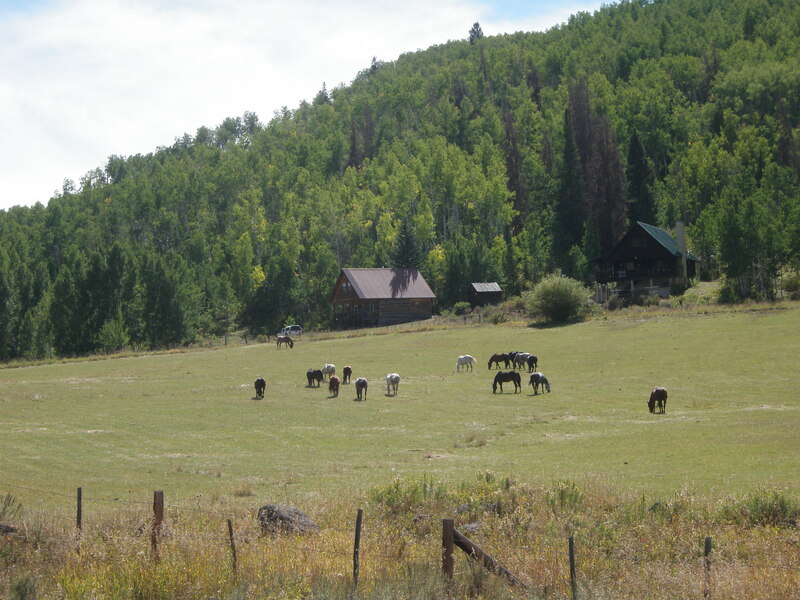 I drove down the lane to the campground, and then made a right turn and parked a short distance away by some old horse or sheep corrals. I hiked a short distance across some sagebrush and dropped down to the river. There was a nice bend pool just above where I entered, and I immediately landed a rainbow and brook trout on the beadhead hares ear nymph dropped off a yellow Letort hopper. In short order I landed another small rainbow on the beadhead hares ear, but then I went through a lengthy dry spell with no action. After perhaps an hour of no fish on my line and covering quite a bit of water, I tied on bushy size 14 caddis with a palmered body. Several fish refused this, and after several rejections, I switched to a smaller sparse size 16 olive deer hair caddis. 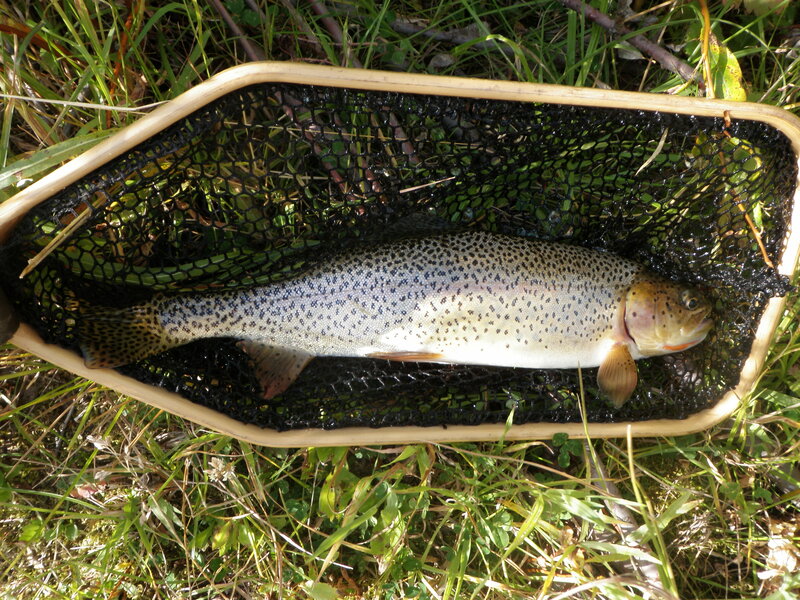 Over the remaining hour I landed a brook trout on the olive caddis, and then two nice 12 inch cutbows (pink stripe of rainbow, but orange slash under mouth like cutthroat). When I attempted to net the second cutbow, I discovered I no longer had a net on my back. I retraced my steps to where I’d landed the first cutbow to photograph, but couldn’t find my net. I must have dropped it in the water as I worked to release the fish, and it was no longer tethered to my retractor. I was pretty upset to start my week long trip by losing my net in the first three hours of fishing. 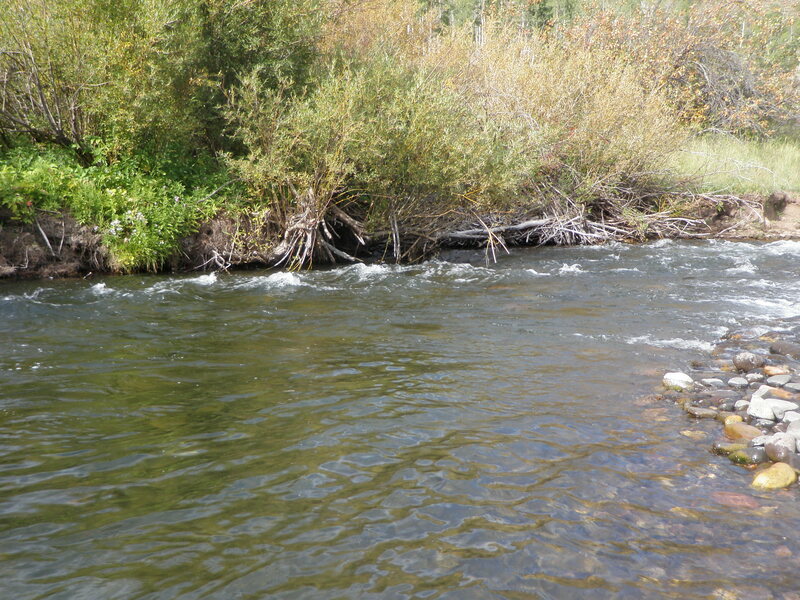 This entry was posted in Fishing Reports, White River by wellerfish. Bookmark the permalink.